On the Rocks Pub is one of the best bars in San Antonio. This venue is carefully designed and focused on making your night out experience unforgettable. On the Rocks Pub is one of the best bars in San Antonio. This venue is carefully designed and focused on making your night out experience unforgettable. Bigshots Bar is a bar located on Warmoesstraat 94 in Amsterdam. The bar is is within walking distance from the Dam and Central Station, right in the middle of the Red Light District. We know that different people have different tastes, so we go out of our way to try and give you that special drink you want to enjoy your stay at our bar. We offer special smoking areas for our guests. Join us for a drink, a coffee, or just for something to eat. Book a table now! Bigshots Bar is a bar located on Warmoesstraat 94 in Amsterdam. The bar is is within walking distance from the Dam and Central Station, right in the middle of the Red Light District. We know that different people have different tastes, so we go out of our way to try and give you that special drink you want to enjoy your stay at our bar. We offer special smoking areas for our guests. Join us for a drink, a coffee, or just for something to eat. Book a table now! JJ Bootleggers is one of Pennsylvania’s first moonshine-themed restaurants located in our country’s birth place, Philadelphia. The bar offers a great selection of libations but likes to focus on moonshine and moonshine signature cocktails. We did not forget about the beer lovers as we offer ten rotating drafts and a wide selection of canned and bottled beers. JJ Bootleggers is one of Pennsylvania’s first moonshine-themed restaurants located in our country’s birth place, Philadelphia. The bar offers a great selection of libations but likes to focus on moonshine and moonshine signature cocktails. We did not forget about the beer lovers as we offer ten rotating drafts and a wide selection of canned and bottled beers. Bangaichi has been loved for over 50 years at Yaesu underground shopping area underneath the Tokyo station and now is brought to you here in the Silver Lake area. Our soups are healthy, made with original material of miso, soy sauce or salt based on vegetables, seafood, and pork broth. Bangaichi has been loved for over 50 years at Yaesu underground shopping area underneath the Tokyo station and now is brought to you here in the Silver Lake area. Our soups are healthy, made with original material of miso, soy sauce or salt based on vegetables, seafood, and pork broth. We are located in the Aberdeen neighborhood in Valparaiso, IN. Our goal is to bring great food and a fun, inviting atmosphere to the Aberdeen community with Live music, endless drink selections. We are located in the Aberdeen neighborhood in Valparaiso, IN. Our goal is to bring great food and a fun, inviting atmosphere to the Aberdeen community with Live music, endless drink selections. Skybox Grill and Bar is Houston's Premier Latin Sports Bar. With Over 40 Flat Screens, 8 Projector, 12 Pool Tables, Full Service Bar and Kitchen on Westheimer Rd in Houston, Tx. Skybox Grill and Bar is Houston's Premier Latin Sports Bar. With Over 40 Flat Screens, 8 Projector, 12 Pool Tables, Full Service Bar and Kitchen on Westheimer Rd in Houston, Tx. Bourbon Street Grille is situated on the beautiful Dahlonega square. Located in the historic Hall House building, Bourbon Street Grill boasts full bars and dining areas on two unique floors, which begs the question, “Top or bottom?”. The “top” features an intimate dining room and balcony overlooking the picturesque town square,while the “bottom” has a festive pub atmosphere with flat-screen televisions inside and a pet-friendly deck outside. Bourbon Street Grille is situated on the beautiful Dahlonega square. Located in the historic Hall House building, Bourbon Street Grill boasts full bars and dining areas on two unique floors, which begs the question, “Top or bottom?”. The “top” features an intimate dining room and balcony overlooking the picturesque town square,while the “bottom” has a festive pub atmosphere with flat-screen televisions inside and a pet-friendly deck outside. Avery's Tavern in Rochester Hills provides an upscale casual dining atmosphere, in a cool stimulating environment with plenty of large screen TV's. As a Rochester Hills Tavern, we serve a diverse selection of craft beers, creative cocktails and amazing food. We also offer various weekday specials from drinks to appetizers. Avery's Tavern in Rochester Hills is the place to relax, eat well, savor a drink and enjoy live music every Friday and Saturday night. 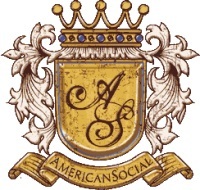 Avery's Tavern in Rochester Hills provides an upscale casual dining atmosphere, in a cool stimulating environment with plenty of large screen TV's. As a Rochester Hills Tavern, we serve a diverse selection of craft beers, creative cocktails and amazing food. We also offer various weekday specials from drinks to appetizers. Avery's Tavern in Rochester Hills is the place to relax, eat well, savor a drink and enjoy live music every Friday and Saturday night. Club 300 in Longueuil is the perfect place for your warm evenings, 4@7 – Happy Hour and all your party! In a trendy atmosphere, Club300 is the hottest bowling bar in Canada. Club 300 in Longueuil is the perfect place for your warm evenings, 4@7 – Happy Hour and all your party! In a trendy atmosphere, Club300 is the hottest bowling bar in Canada. Republik is a vibrant and popular nightclub in Liverpool City Centre. One of the crown jewels in Liverpool's nightlife, Republik specialises in cocktails, booth and table service and plays a high energy selection of RnB, House and has a specialised Urban room playing Bashment and Garage. Republik is a vibrant and popular nightclub in Liverpool City Centre. One of the crown jewels in Liverpool's nightlife, Republik specialises in cocktails, booth and table service and plays a high energy selection of RnB, House and has a specialised Urban room playing Bashment and Garage. With shows at 8pm and 10pm every Sunday, we showcase a powerful and flavorful mix of comedic talent, from seasoned veteran comedians to the hottest up and coming comedians. With shows at 8pm and 10pm every Sunday, we showcase a powerful and flavorful mix of comedic talent, from seasoned veteran comedians to the hottest up and coming comedians. king of Beer and Wine you'll find a wealth of our inventory ranging from our excellent selection of domestic and import beer along with our wine selection. king of Beer and Wine you'll find a wealth of our inventory ranging from our excellent selection of domestic and import beer along with our wine selection. Aurora Bartending schools now become very famous school in, providing bartending training.Join it and become a good bartender. 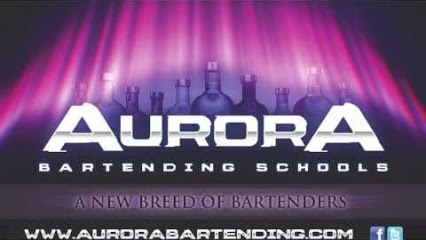 Aurora Bartending schools now become very famous school in, providing bartending training.Join it and become a good bartender.